Surface your Remedy data rapidly and flexibily within your SharePoint intranet site. ShareRemedy is a flexible, innovative platform from Panacea. It allows you to create flexible integrations between BMC ITSM and SharePoint, that don’t compromise your intranet branding. Once deployed the product allows users to create, modify or view data stored in any Remedy Forms, from within SharePoint, in minutes not weeks. This product achieves this via a flexible SharePoint WebPart architecture utilising XSLT configuration files to change not only how the WebPart looks but how it functions. This means that new functionality can be added to your SharePoint portal via configuration of an existing feature rather than time-consuming and expensive new development. Utilising SharePoint’s deployable Web Part functionality, we give you the power to integrate Remedy as a SharePoint feature fully controllable from SharePoint Central Admin Console. The connection through to the AR Server uses the BMC ARS C API, so SharePoint can act as another client of your Remedy Servers in real time. This product achieves all functionality by utlising XSLT configuration files to change not only how the webpart looks but how it functions. This means that new functionality can be added to your SharePoint portal via configuration changes rather than time-consuming and expensive development. Providing a low risk and rapid development of integration points between Remedy and SharePoint for the business. A collection of configuration packages that allow rapid access to areas of your ITSM A collection of configuration packages that allow rapid access to areas of your ITSM system. Configured to display information on sections of ITSM such as Incident, Change, Problem, Knowledge Management.system. Configured to display information on sections of ITSM such as Incident, Change, Problem, Knowledge Management. We have developed a quickstart tool to allow users unfamiliar with XLST to create configuration files rapidly via a simple Windows interface. We have included functionality within our quickstart tool that we know would be beneficial when creating interfaces into Remedy. Allowing you to rapidly create tables/grids onto remedy data, input forms and a variety of other functionality. Using the quickstart interface users can select any Form within their Remedy environment and create a table field (grid view) onto the data within it. The table or grid can be set-up directly from a Remedy tablefield object, pulling the query and column information from the Remedy object if required. Use the QuickStart tool to build “Set-Field” operations, familiar to Remedy developers, for use in your webpart to pull back information from the Remedy environment (for setting User / Support / Asset details on an incident for example). The quickstart tool allows the rapid creation of Query menus, built directly from queries against Remedy forms. Dependent/Linked Query menus can also be built for use in your web-parts, so you can derive, for example, 3 tiers of Operational Categories to be used in a form for submitting an incident. Create a pre-query to derive some additional information from Remedy for use in your integration. Determine the users entitlement or group membership and then provide access to requests based on this information. For example create a support console view (such as Change Management Consoles) and allow users to view their own requests or requests assigned to one or all of the groups they are a member of. • Base Installation and setup on both servers. • Web Part can be integrated with any Remedy Form on your server. • Read Only / Read Write functionality. • Includes the QuickStart tool, to aid Rapid Configuration of your own Web Parts. Create views onto any Remedy tables in less than 10 minutes. • Authentication : User Authentication is either based on the AR server using AD and the SharePoint users also using the AD, or use of one of the PWS Remedy Sign On Types provided as part of the toolkit. 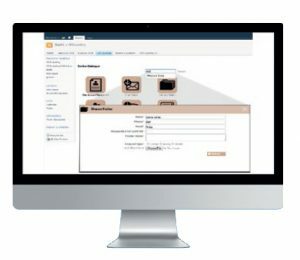 • Other integrations developed internally , such as the ITSM Portal interface shown on next page, are provided as part of the license purchase. This can be adapted as per the individual customer requirements. • Accordion Service Catalogue control with one day assistance for merging the Service Requests created via QuickStart tool into the catalogue control. …Change, Problem, Asset, Knowledge Management and other Modules are also available. If you are interested in more information about this license and the Solutions that can be built upon ShareRemedy please contact support@ktsl.com. Challenges : The client had an Enterprise Support agenda to surface Service Consumption Data to various audience groups via different mediums. One of these mediums was their Corporate Intranet (SharePoint), which was increasingly becoming the focal point for end users. The objective was to deliver an integration between SharePoint and Remedy so that an individual’s requests and approvals are displayed when logging into their Intranet site, allowing an individual to perform a one click action to approve/reject or track request status. As this was to sit on a heavily customised homepage, screen real estate was a primary consideration. It also needed to adhere to branding policy and seamlessly fit with existing content. The client has over 250K users using their intranet, with peak concurrently on landing page of 10K hits per hour so scalability and performance of web part was imperative.Panacea delivered a set of Icons that adhered to the existing Icon branding. Using Pop-ups to surface approval/request detail allowed homepage real estate to be kept to a minimum. Use of layout pages to perform queries via AJAX meant that the integration would never delay the landing page load.